Tetsu Nishiyama’s mother offered him a valuable piece of advice as a young man, challenging him to list the pros and cons of his life, then to expand on those pros and apply them to passion or career. This practice has brought him through the worlds of BMX, skateboarding, hip-hop and fashion, which now revolves around cult brand WTAPS. Now 20 years in, WTAPS is known for its Japanese twist on American heritage, military influences and motorcycle culture. 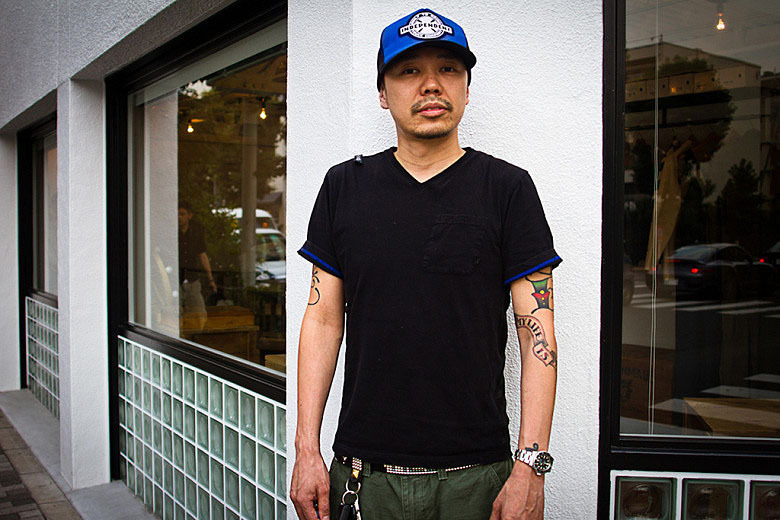 In 2014, Tetsu not only joined forces with the likes of fragment design, Peanuts and Ebbets Field Flannels, but he also opened his third HOODS location in Seoul. Most recently, the Japanese designer paired with friend and frequent collaborator Hiroshi Fujiwara to launch a web series and T-shirt collection dubbed DOUBTFUL AS DOUBLE as well as having a hand in creating the POOL aoyama.